These Baked Carne Asada Fries are smothered in cheese, steak and guacamole for the perfect appetizer, side dish or dinner. 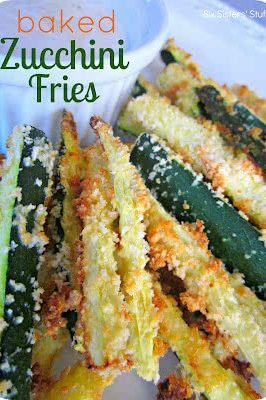 These fries are always a crowd-pleaser and everyone is always asking for more. Carne asada is a Mexican and Central American dish of grilled and sliced beef. It is usually seared to have a charred flavor. Carne asada is traditionally made with a skirt steak, but other alternatives include flank steak, sirloin steak, tenderloin steak or even trimmed brisket. The beef doesn’t need to be particularly tender as it is usually marinated or seasoned with a rub then thinly sliced. These Carne Asada Fries include a delicious steak marinade that helps tenderize and flavor whatever cut of beef you are using. We typically use flank or sirloin steak for this recipe. These Carne Asada Fries use russet potatoes that have been cut, tossed in olive oil and seasoned. 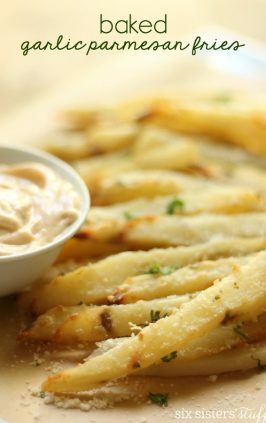 A lot of people feel intimidated when they think about how to make “homemade french fries”, but these baked fries are absolutely foolproof. Start by scrubbing the outside of your potatoes until they are clean and then cut them in half lengthwise repeatedly until you get the desired amount of fries/wedges. If you prefer, you can peel your potatoes before cutting them but I like the crispiness of the baked potato skins. After your potatoes are cut into wedges, place them in a single layer on a foil-lined baking sheet and drizzle with 1/4 cup olive oil. Toss the potatoes with your hands to evenly coat all the potatoes with oil. Season your homemade fries with garlic powder, paprika, salt and pepper and then bake at 425 degrees for 50 minutes, turning them over halfway through. Can I use frozen pre-made fries? 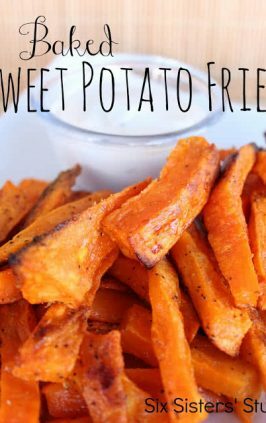 Although we prefer the taste of baked homemade fries in this recipe, you could substitute them for frozen pre-made fries if you are short on time. 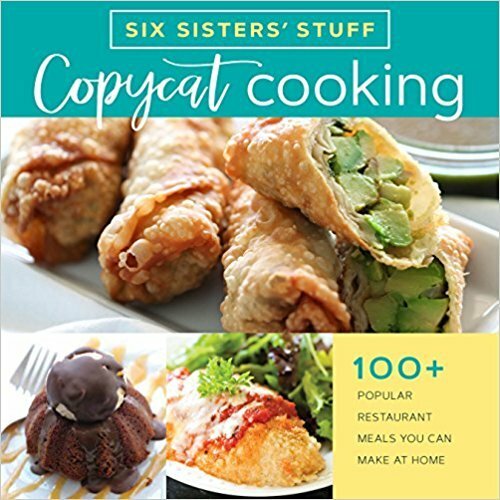 Simply follow the directions on the package to cook the fries and follow the rest of the recipe instructions. These Baked Carne Asada Fries are honestly restaurant worthy. In fact, they are better than a lot of loaded fries I’ve ordered from restaurants. 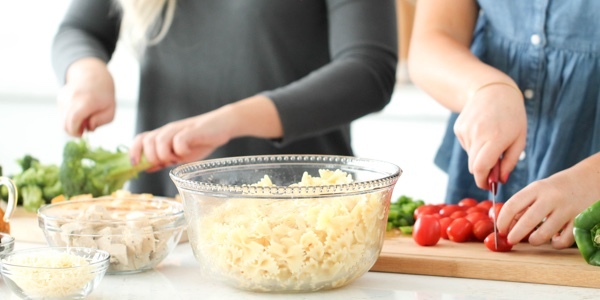 This recipe has just a few simple steps but here is a rundown to make things easier for you. I like to marinate my meat in a gallon sized Ziploc bag. Add all of the marinade ingredients to a Ziploc bag, seal and shake it up to mix them together. The longer the steak marinates, the more flavor it will have. I like to marinate my steak overnight, but 1-2 hours will be enough time to let that meat tenderize and soak up those delicious flavors. When it comes time to make the actual dish, follow the instructions to make the homemade baked french fries or use the tips I shared above. 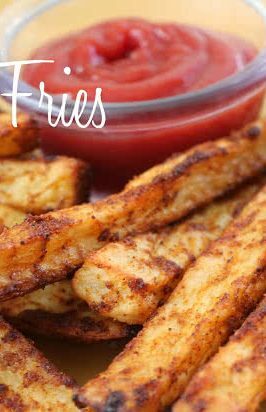 If you like a really crispy fry, you can broil your baked french fries for 1-2 minutes after baking them. Take your marinated steak out of the fridge while your fries are baking. I like to grill our steak and give it a nice sear on the outside, but you can also use a skillet on the stove top for a few minutes if you are looking for something quick and easy. Top your baked fries with steak and cheese and broil for a few minutes until the cheese is melted. Remove your fries from the oven and top with guacamole, pico, sour cream or any other topping your heart desires and dig in! 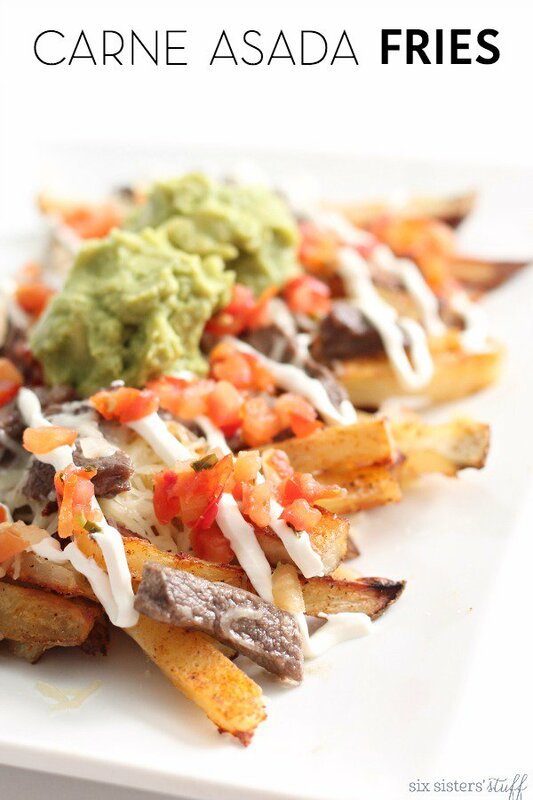 These loaded, baked fries are smothered in cheese, steak, and guacamole for the PERFECT game-day appetizer! In a shallow tupperware or Ziploc bag, add steak, lemon juice, 3/4 cup olive oil, garlic, and salt and pepper. Stir or shake to combine. Place in refrigerator and let marinade for 1-2 hours. Place russet potatoes in a single layer on a foil-lined baking sheet and drizzle with 1/4 cup olive oil. Toss with hands to coat all the potatoes with oil. 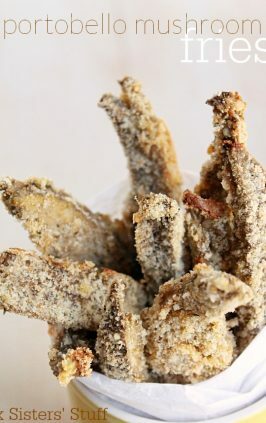 Sprinkle with garlic powder, paprika and salt and pepper. Bake for 25 minutes, turn them over, and bake for an additional 25 minutes (or until golden brown and cooked all the way through). Remove steak from the refrigerator and cook in a skillet over medium-high heat until it reaches desired doneness. Place potatoes on an oven-safe dish and top with steak and cheese. Broil for 3-5 minutes until cheese is melted. Top with pico de gallo, guacamole, and sour cream. Serve warm. 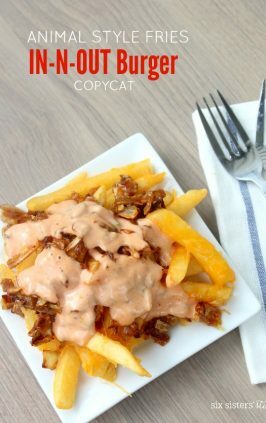 Watch how we make our Copycat Animal Fries from In ‘n’ Out! Could you put the steak In a crockpot with the marinade and have it marinate for 3-4hrs on high that way, that way it cooks and marinates at the same time? Maybe add some broth so it doesn't burn? Also if I'm in a hurry could I use the frozen fries? Hi Megan. We have only made this as directed in the recipe. I'm sure you could make it in the crockpot. I would add a little extra liquid so it doesn't burn. You could definitely use frozen fries. Watch closely so they don't overcook. They may not take as long to cook.